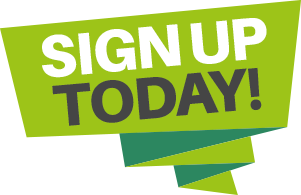 Time to register for the 2018-2019 season! Band rehearsals start on Wednesday, August 29th. There is an important new procedure we have to follow this year: EVERYONE must be registered before they may attend band practice. This is a liability issue for the school district. 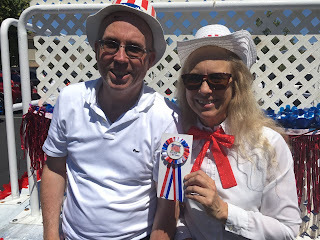 Registration is $42 a quarter and must be completed by August 24. 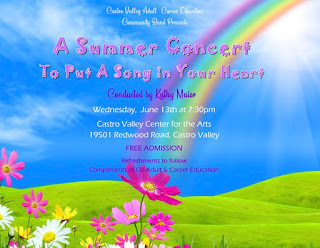 You may register online or by phoning Castro Valley Adult & Career Education at (510) 886-1000. You MAY NOT hand a check to Phil Stephens at the first (or any subsequent) rehearsal. 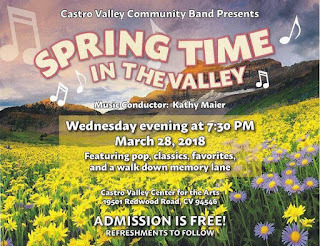 You get two chances to hear the Castro Valley Community Band this month! On December 20 at 7:30 p.m. in the Castro Valley High School Cafeteria (not in the Center for the Arts this time!) 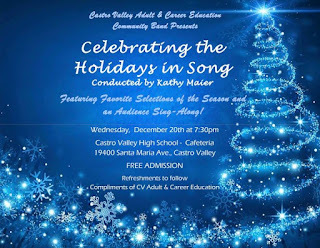 we'll present our annual free holiday concert, entitled "Celebrating the Holidays in Song." 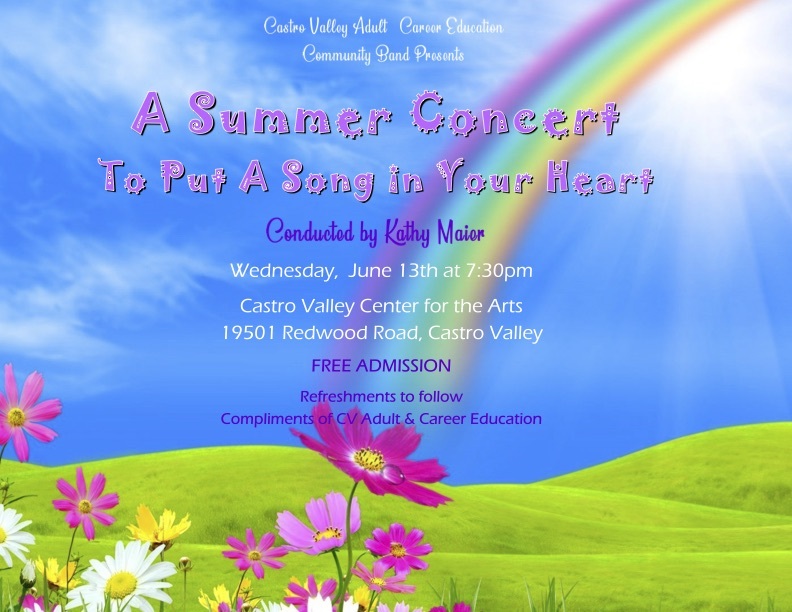 Admission is free, a sing-along is on the program, and refreshments are served afterward. 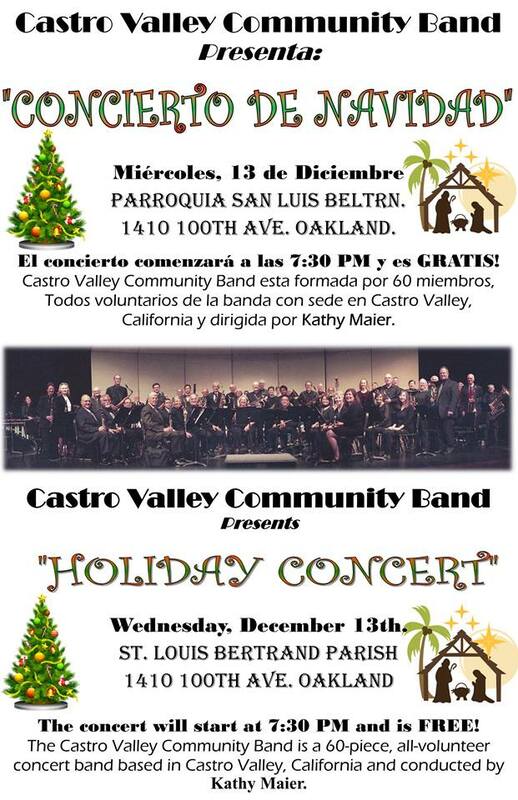 One week earlier, on December 13, you can hear the band at St. Louis Bertrand Church in Oakland. 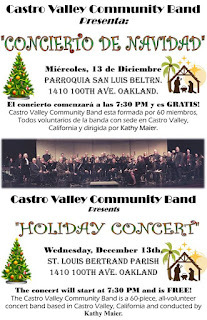 Always a lively affair, that concert culminates with the traditional singing of Feliz Navidad. 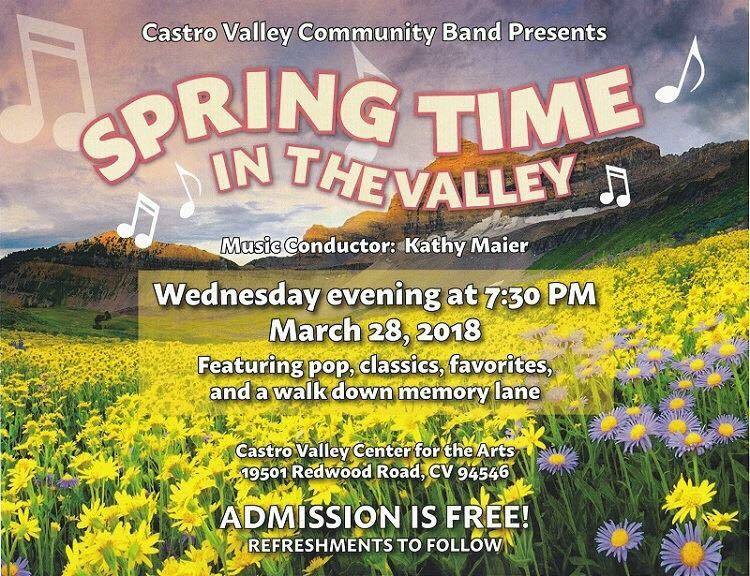 That concert also begins at 7:30 p.m. and is also free. We are very grateful to the congregation for making us welcome year after year.